Bianca Rodriguez | The Cagle Law Firm, P.C. Bianca joins the Cagle Law Firm after serving two years as a prosecutor in Houston with the Harris County District Attorney’s Office. She is a Rio Grande Valley native where her parents still reside. 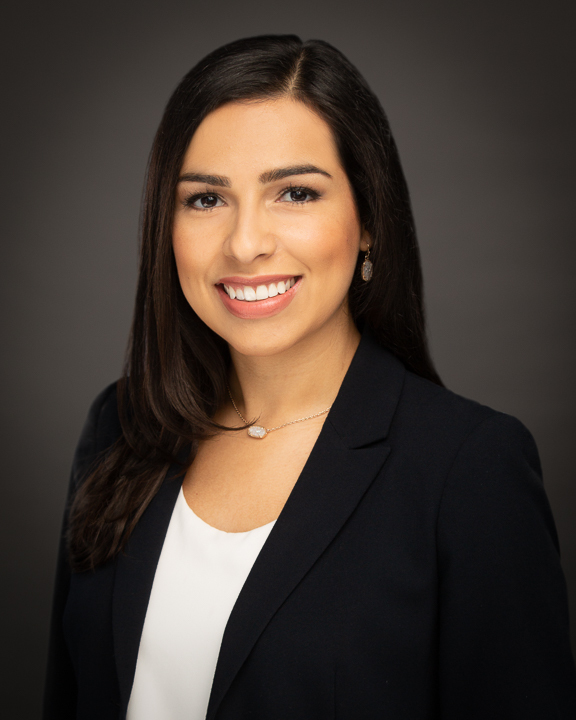 Bianca graduated from the University of Texas at Austin in 2012 with a Bachelor of Arts in Government and went on to attend Texas Tech University School of Law. While in law school, Bianca served as treasurer for the Hispanic Law Students Association and excelled in written and oral advocacy. She earned the Distinction Award for her first year legal research and writing class, Legal Practice. Bianca received several awards as an oral advocate and had the honor of representing Texas Tech on three national teams. Her hard work made her a top-ranked advocate, earning her a spot on Texas Tech’s Board of Barristers where she mentored younger law students in the art of advocacy. Recognizing her commitment to excellence, Bianca had the distinct honor of receiving the J. Hadley Edgar Trial Excellence Award given to her by Texas Tech School of Law. Bianca also had the privilege to intern for the Honorable Micaela Alvarez, U.S. District Judge for the Southern District of Texas and extern full-time for the Honorable Irma Ramirez, U.S. Magistrate Judge for the Northern District of Texas her last semester of law school. Bianca began her career as a prosecutor wanting to seek justice for victims of crime. She handled both misdemeanors and felonies and was responsible for the fair and equitable disposition for hundreds of criminal cases. Bianca gained valuable trial experience during her time as a prosecutor having tried many cases as lead counsel. She interacted with crime victims on a daily basis throughout the criminal justice process, from the time charges were filed until the conclusion of trial. Because of her past experience, Bianca has an acute understanding for the needs of those injured as a result of someone else’s negligence. In her spare time, Bianca enjoys the outdoors and being active. She enjoys skiing in the winter and hiking in the summer. Bianca volunteered with Habitat for Humanity throughout college and still continues that work today.